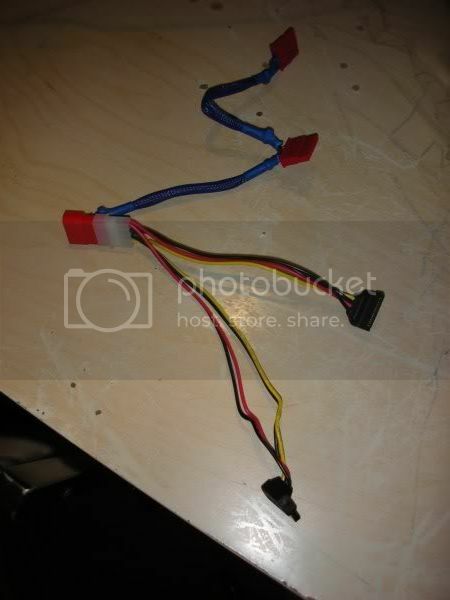 why did u make ur own SATA cables? wow apok....are you trying to make us look bad!??!!? seriously that build is just top notch so far and your not even done. agreed... that looks too good 10!!! because he cares so much about this thread and he wanted to get a 10.5/10 thats why!!! and the fact that hes smart and likes to be creative. because you can't buy them like that. So you can see, the one I made makes wire management much better. i see are they just as reliabe i.e they dont loose the connection? yes, they're reliable. I used solder to connect the wires to the connectors. How many SATA hard drive power connectors can you put together, before it's too much?